General Hospital spoilers for the next two weeks promise Shiloh Archer (Coby Ryan McLaughlin) demands answers about Kristina Corinthos (Lexi Ainsworth). So, he goes right to Jason Morgan (Steve Burton) and the two face off. Also, Alexis Davis (Nancy Lee Grahn) hears that Julian Jerome (William deVry) helped Kristina with DoD. Meanwhile, Harrison Chase (Josh Swickard) is on to something. Plus, Margaux Dawson (Elizabeth Hendrickson) makes a confession. Here’s a sneak peek of what’s ahead the next two weeks on GH on ABC. GH spoilers on Monday report Michael Corinthos (Chad Duell) puts things together. So, it looks like Willow Tait (Katelyn MacMullen) offers up more about her past. Now, Michael may discover the true agenda of DoD. Meanwhile, Sam McCall (Kelly Monaco) pulls one over on Shiloh Archer. No doubt, she pretends to be clueless about Kristina Corinthos’ whereabouts given what Jason did. Also, Cameron Spencer (William Lipton) and Franco Baldwin (Roger Howarth) hit a bump. 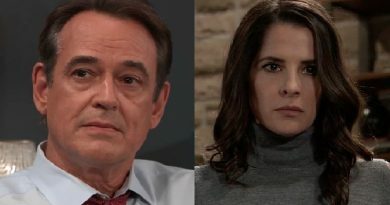 They aren’t back on track quite yet say General Hospital spoilers. Tuesday’s General Hospital spoilers reveal Jason Morgan learns Brad Cooper (Parry Shen) is involved with DoD. Jason goes to see the GH lab boss to get the drug cup tested to see what Shiloh gave Kristina Corinthos to knock her out. Certainly, he will tell Brad that Shiloh’s group is dangerous and to stay far away. Elsewhere, Michael Corinthos feels bad. Plus, Margaux Dawson disagrees with Sonny Corinthos (Maurice Benard). Surely, Sonny will urge the lady DA to keep her distance from DoD given what happened to Kristina Corinthos. However, Margaux seems to be impressed with Shiloh Archer. So, she probably won’t listen to the mobster, predict GH spoilers. Willow finds out that Brad is associated with Shiloh. General Hospital spoilers mid-week say Carly Corinthos (Laura Wright) is emotional. Certainly, her heart breaks for Josslyn Jacks (Eden McCoy). Of course, she is torn apart to see her go through this kind of pain. And her BFF Jason can’t be there because he’s got other urgent matters. Meanwhile, Sonny Corinthos tells Jason Morgan to be careful. 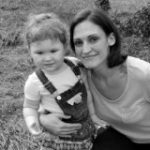 Plus, Alexis Davis discovers Julian Jerome loaned Kristina the money for her DoD pledge to Shiloh Archer. 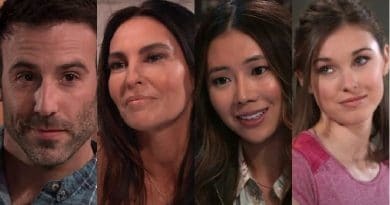 Certainly, Alexis will be furious with her ex-husband, according to GH spoilers, for enabling Kristina’s bad life choice. 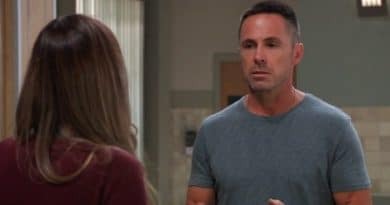 Thursday has General Hospital spoilers showing Franco Baldwin meets up with Jordan Ashford (Briana Henry). The commish is desperate for a way to continue the hunt for Ryan Chamberlain (Jon Lindstrom). But, after their last scheme, it seems unlikely she’d go to Franco for help again. So, it might involve another matter. Meanwhile, Ava Jerome (Maura West) asks Scott Baldwin (Kin Shriner) for help. Ava wants to punish Ryan and needs a faux lover to do it. So, she may see if Scotty is up for the job. Plus, Laura Spencer (Genie Francis) directs her attention to important matters in the latest GH spoilers. General Hospital spoilers Friday reveal Shiloh Archer seeks out Jason Morgan. No doubt he wants to accuse Jason of orchestrating Kristina’s disappearance. However, he may also want to inform him of Sam Mccall’s “breakthrough”. Certainly, Shiloh believes Sam truly wants to move on from Jason Morgan. Also, Ava Jerome faces rejection. So, this might means Scott Baldwin turns her down when she asks for his help. Plus, Kevin Collins (also Jon Lindstrom) gets a heartfelt gesture say GH spoilers as he feels like the most-hated man in Port Chuck. On Monday, General Hospital spoilers promise Harrison Chase gets a clue. So, the detective may be on to something that could take Shiloh Archer and his group, Dawn of Day, down. Jason Morgan and Sam aren’t the only ones working to end his influence over Kristina Corinthos and others. Meanwhile, Curtis Ashford (Donnell Turner) sets his sights on Canada. So, he might go search for Ryan Chamberlain. Also, TJ Ashford (Tequan Richmond) confronts Jordan Ashford. He might try to persuade his mother to take it easy for the sake of her health. Chase isn't having any of Shiloh's intimidation tactics, West Coast. Willow is staying in Port Charles, one way or the other. GH spoilers for Tuesday say Alexis Davis leans on her therapist Dr Neil Byrne. Certainly, Alexis is distraught over the ordeal with Kristina Corinthos and Shiloh. Now that Neil is involved in the matter maybe he can ease her mind a bit. Also, Julian Jerome becomes suspicious. Elsewhere, Willow Tait tells a lie. Now, she might go after Shiloh in an effort to help get Kristina out of DoD. Also, Jason Morgan and Sonny Corinthos debate their next move now that Kristina Corinthos is out of their clutches. 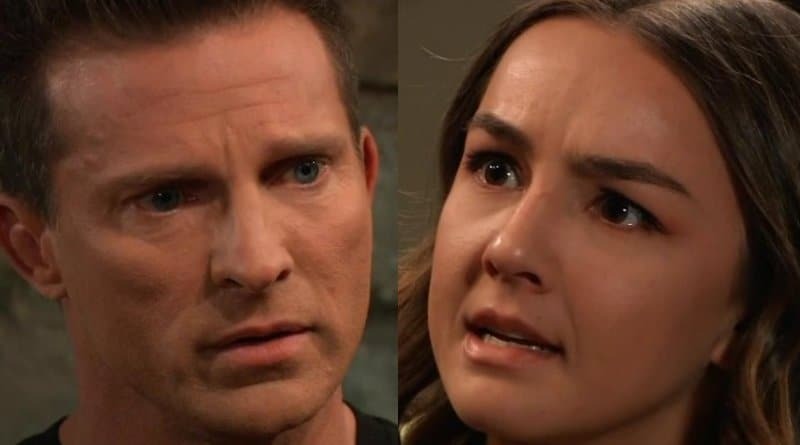 So, they may not be on the same page as they move forward with Kristina’s exit therapy after Jason Morgan kidnapped her. On Wednesday, General Hospital spoilers say Mac Scorpio (John J York) is furious. Surely, he is angry because the DA closed the case on Ryan Chamberlain. Certainly, he knows all too well that Ryan could certainly still be alive. Also, Robert Scorpio (Tristan Rogers) questions Hamilton Finn (Michael Easton). Meanwhile, Josslyn Jacks tears into Cameron Spencer. No doubt, the pain of watching Oscar Nero die starts to take a toll on Joss. Her strength is admirable but she seems to reach a limit and lash out at Cam. Certainly, it’s easiest to take things out on those we’re closest to. GH spoilers for Thursday find Nina Reeves (Michelle Stafford) shocked. Sasha Gilmore (Sofia Mattsson) seems to be quiet about her secret for now. So, Nina may be in disbelief to learn that Valentin Cassadine (James Patrick Stuart) needs legal help as he launches a new custody grab. Elsewhere, Jason Morgan visits Oscar Nero. No doubt, he wants to see his nephew one last time before he passes away. Also, Oscar asks Cameron for a favor. He could want Cam to look after Josslyn once he’s gone say General Hospital spoilers. On Friday, GH spoilers report Shiloh Archer wants answers. Certainly, he might confront Jason Morgan about what happened to Kristina Corinthos. Although, he may question Sam McCall’s commitment instead. Plus, Margaux Dawson comes clean and Sonny Corinthos is alarmed. Meanwhile, Lucy Coe (Lynn Herring) is appalled. More General Hospital spoilers suggest Kevin Collins may help Ava Jerome track down Ryan. Certainly, this would cause Lucy to fly off the handle. Also, Curtis Ashford gets a lead. So, there may not be a need for Ava’s risky plan after all. The next two weeks promise to be riveting and suspenseful. Watch ABC weekdays to see how things play out for Jason Morgan, Kristina Corinthos and all the others on GH.